Before I get into the details of the space I’m making over, I’d like to share the 5 makeovers I’ve completed during the past several years! I’m still so pleased with the results…hence, the reason it is always difficult not to participate in the ORC. You really hold yourself accountable to finishing a project within a timeframe! Let’s get to the space I’m making over! We have a large bookcase that I’ve been using to store a variety of things. You name it, it’s being stored there. We purchased this Ikea bookcase over 10 years ago. It’s still in great condition … surprisingly. Like most of my recent makeovers, I’m looking to lighten the color palette of this piece of furniture. 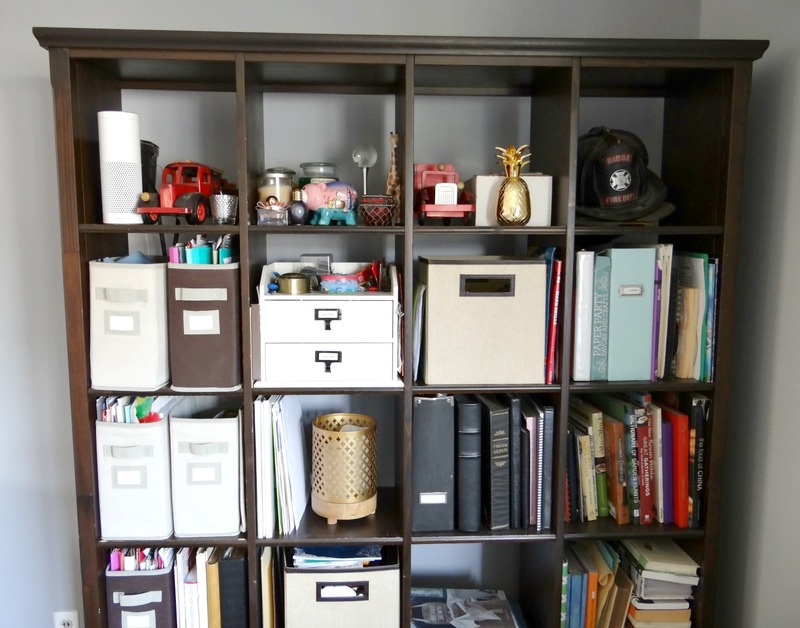 My first plan of action is to “purge and organize” this bookcase. The most time-consuming project during this challenge involves repainting this massive bookcase. I don’t even want to think about where I’ll be painting it. I’m sure it’ll be in the living room since moving it elsewhere will be such a pain! Do you see the hair brushes on the table? Well, it’s one of the reasons why I want this to serve as my corner office/ multipurpose area. 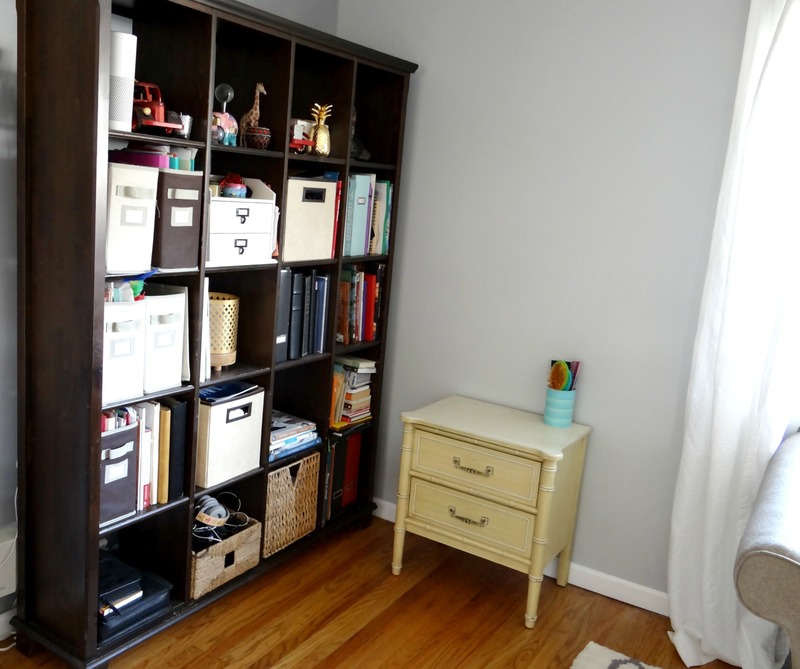 Not only will I place my laptop on my writing desk, I plan to store my daughters’ hair ties and brushes there too. Why? I style my 2 daughters’ hair in our living room every day. Side note: They are almost 8 and 11. Should I still be doing their hair?? Next week, I’ll be sharing some “Inspirational Photos” for my corner office makeover. 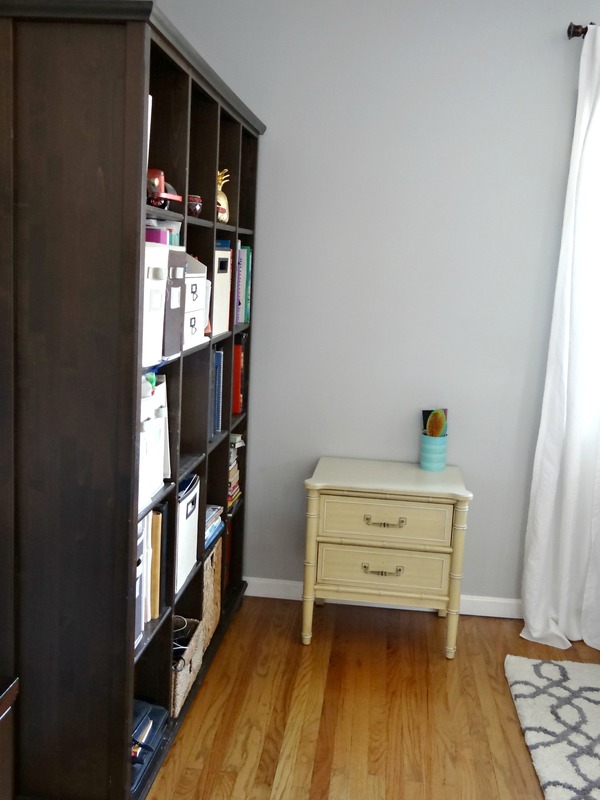 As with my previous One Room Challenge makeovers, I’m doing this challenge in Real Time. For additonal content and sneak peeks, please be sure to follow along my Instagram and Facebook accounts. 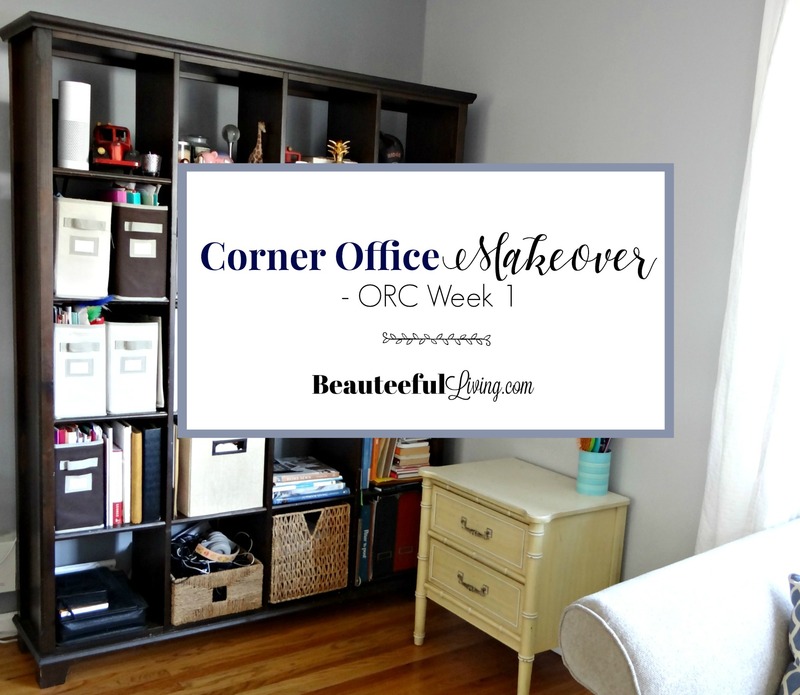 I’m excited to be sharing the progress of my first ever “Corner Office!” 😀 Thanks for following along, lovely readers! Before you go, please check out Week 1’s posts from the 20 designers here and the guest participants here. Thank you Linda (Calling It Home) and Better Home and Garden for co-hosting this challenge! 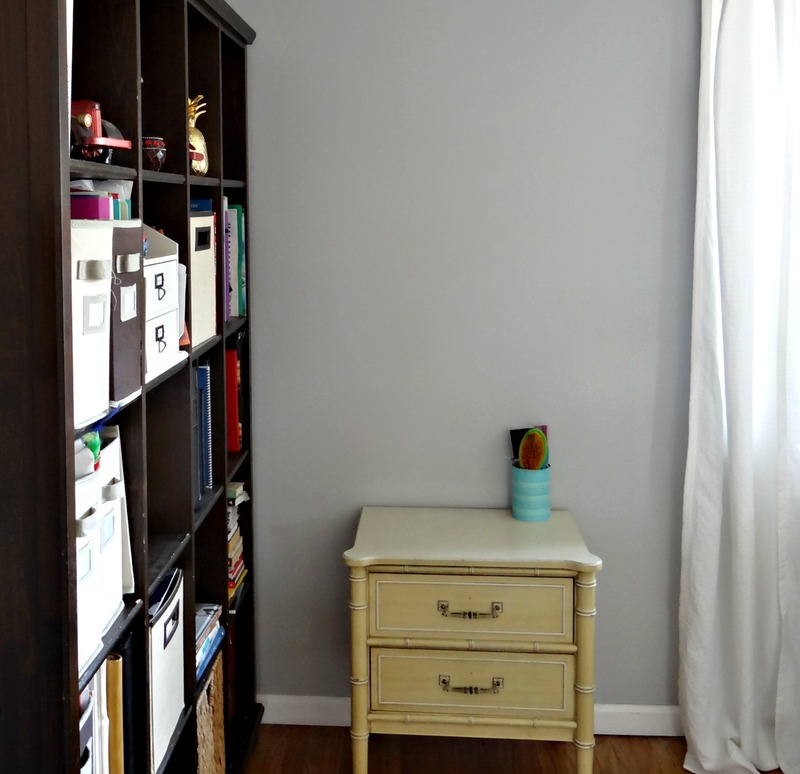 What do you think about my corner office makeover? Would you have an office area in your living room? I’d love to hear your thoughts! 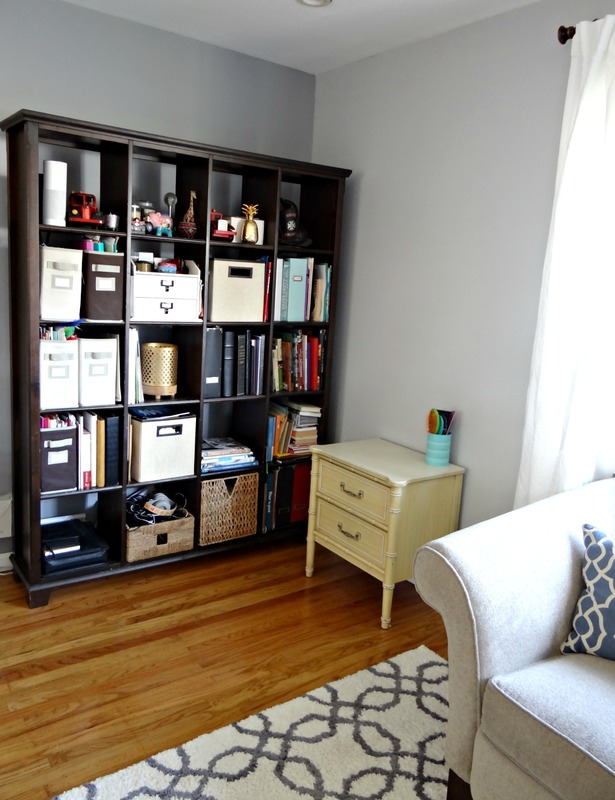 I love how you are carving out a home office space for yourself in your living room – it’s such a creative way to give yourself an extra “room” in your house. Looking forward to following your progress, best of luck to you, my fellow home office ORC participant! Love your plan! It will be all worth it in the end, as you know! And yes to the hair styling. I was helping my daughter with her’s all the way through high school. Some nights I moaned and groaned, but it made for great mother/daughter bonding moments. It goes by so stinking fast, so drink it all in while you can! My daughter is away at college and I miss those times! I can so relate to your post! I have two girls also (11 and 9) and I also think “why am I still brushing and styling your hair?” I am also doing the ORC challenge as a home office. I don’t think I’m going to tackle painting my bookshelf, but I do have a similar one in my office and it’s also become a catch-all room. Good luck with your transformation! Glad to be tackling this challenge together! Same here – thank you! Love that you are doing the ORC again. There are slim desks that resemble consoles, you will be happy to have the 1 or 2 drawers in them, makes life easier to have convenient storage. And YES! keep doing your daughter’s hair-they grow up so fast and it’s time together. Maybe they can do their own hair on the weekends if you want them to have that skill. looks like fun and yay you are doing it again! I have a pair of similar side tables too. lets do it together in 6 weeks! Looking forward to seeing everyone’s completed projects. Good luck Tim & I look forward to following along your progress! I can’t wait to see how this turns out, especially the painted shelves!! 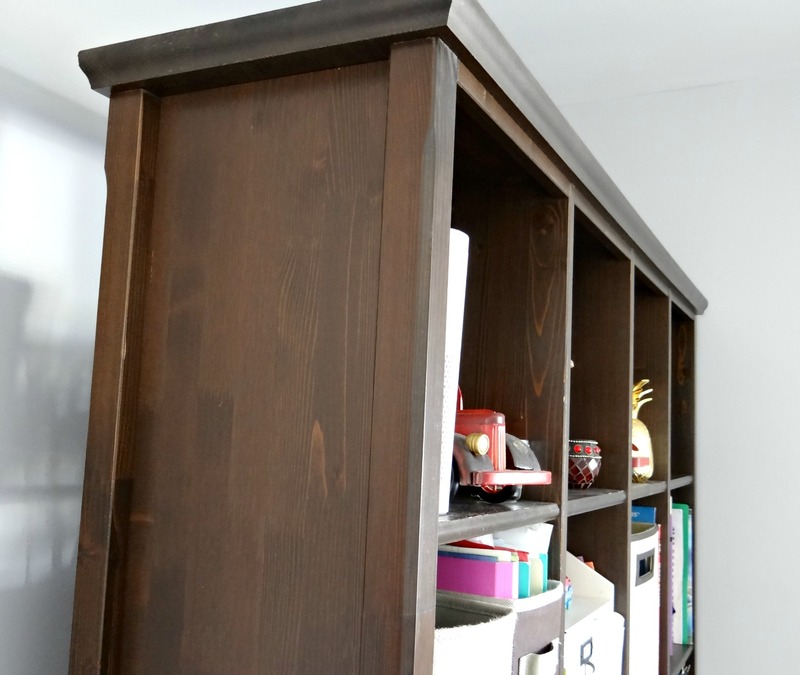 Your bookcase is going to be fantastic when it’s painted! 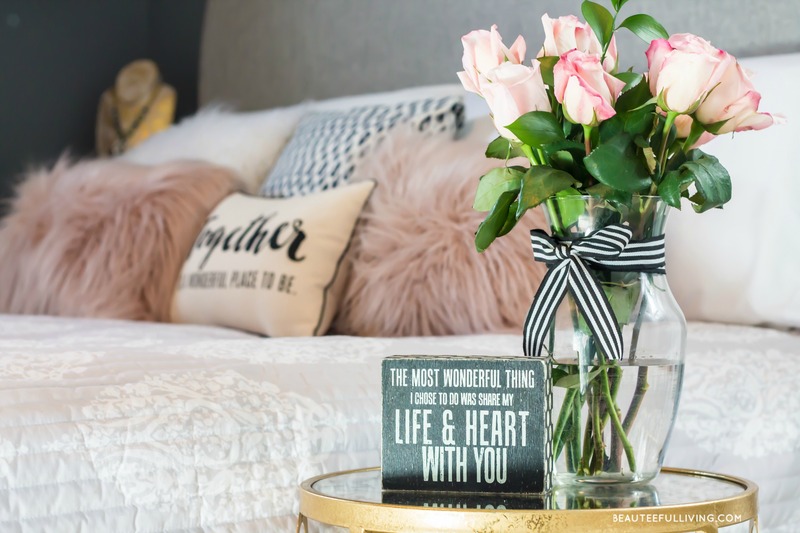 I can’t wait to see how your room turns out! I am loving this plan. It’s going to be such usable space when completed. Looking forward to following along. Thanks, Libbie! I can’t wait to finally get this space updated. 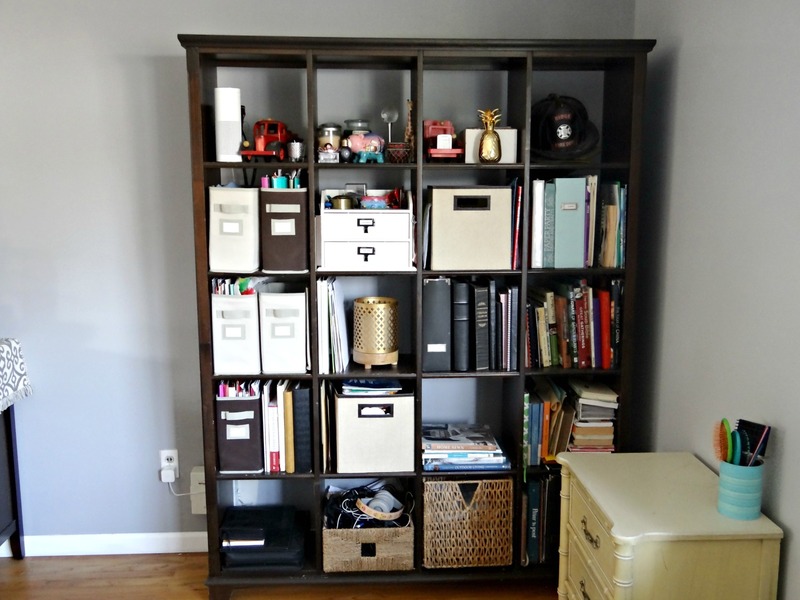 Look like a fun project for this season on the ORC, I am very excited to see the book case once you get it all refinished. Thanks so much, Jen! Good luck with your project!